This has been such a long week for me as I have been putting the finishing touches on some furniture pieces that I will have for sale this weekend. On top of that, my oldest has been really sick, which has left me with not enough hours in the day to accomplish all that I need to. On a more calming note, here are some things that I've recently found that would look perfect in my home. Which do you love best? 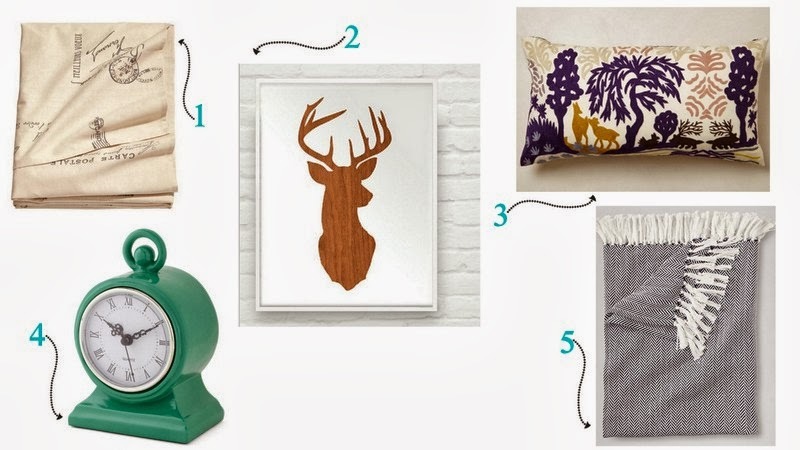 I could find a place for all of these...but if I have to choose just one...Number 2 - love that deer print!